Susanne Kaufmann uses a cold-pressed extraction technique to make her products which involves removing every last drop of nutrition from plants and other natural ingredients. 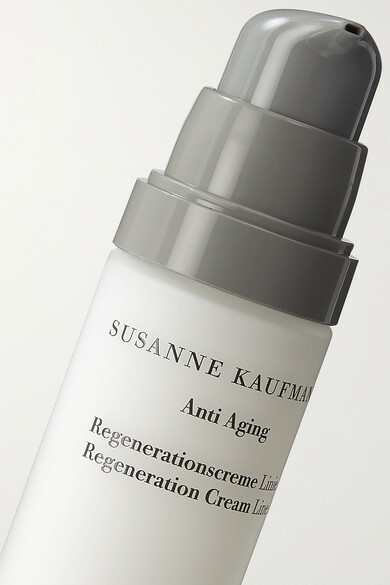 Formulated with fermented White Lupine, this 'Regeneration Cream' stimulates collagen production to minimize the appearance of wrinkles, while Lady Smock Seed and Argan Oil improve elasticity and restore moisture. Incorporate it into your everyday skincare regime to maintain a healthy, youthful-looking complexion.